My dog is really freakin cute. Okay but seriously. 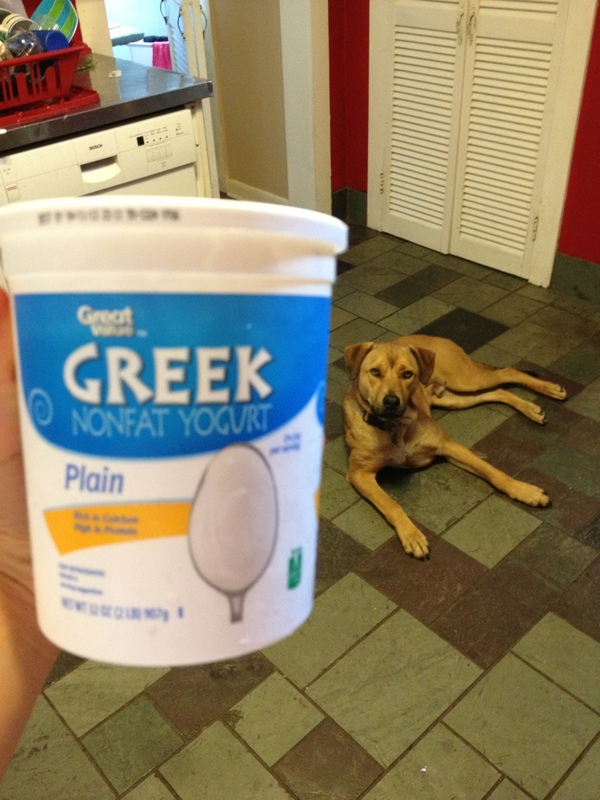 The Great Value brand of plain Greek yogurt has the taste AND texture of Chobani!!! And the big tub is only $3.98!!! This is the best thing that has happened to me all week and I’m not even joking. Image | This entry was posted in Nutrition, product review and tagged chobani, great value, greek yogurt, thrifty shopping, walmart, yogurt. Bookmark the permalink. 2 Responses to BIG NEWS! I love finding store brands that I like the same/more than name brands! I swear publix brand milk is the best ever. haha I have never been a big milk connoisseur so it’s funny to me that you have a favorite brand!